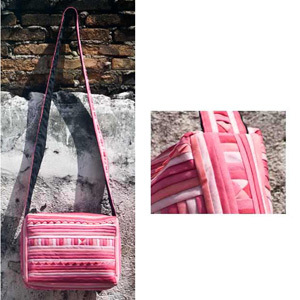 Crafted of cotton, this shoulder bag features row upon row of multicolored stripes cut and appliquéd in Lisu fashion by Issaraporn Saeyang. 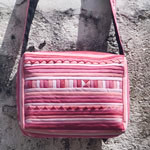 Fully lined with polyester, it features a small pocket in the inside. The bag closes with a zipper.